Chuck E. Cheese’s might have to change their slogan from “The Place Where a Kid Can be a Kid” to “The Place Where a Little Can be a Little.” As the National Preferred Destination of Big Brothers Big Sisters, Chuck E. Cheese’s continues to be go-to spot for Bigs to take their Littles. 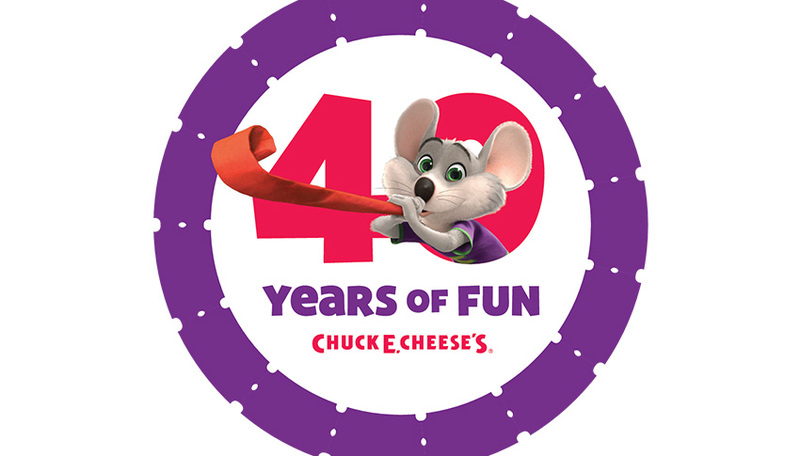 This May, Chuck E. Cheese is calling all Bigs and Littles to help them celebrate their 40th Birthday. Chuck E. Cheese’s is offering every kid who visits Chuck E. Cheese’s between April 10 and May 19 40 free tickets. May 19 is their official birthday, and on that day, Bigs and Littles have a chance to break a world record for the most people blowing party blowers at the same time for 10 seconds. The goal is for at least 7,000 people to participate to break the record. Be sure to arrive early for a free piece of birthday cake. This March, Chuck E. Cheese’s held their fourth Pin-Up campaign to raise money for Big Brothers Big Sisters. Customers were encouraged to purchase a Pin-Up in support of BBBS while having a fun day at Chuck E. Cheese’s. To make the trip even more enticing, BBBS has been offering downloadable certificates and coupons for discounts on food, drinks, and tokens. The campaign has been a resounding success over the past two years, with Chuck E. Cheese’s having donated more than $300,000 to BBBS. In September, Chuck E. Cheese’s will hold another Pin-Up Campaign. If you were unlucky enough to miss out on participating in March, mark your calendar for Labor Day.